Lungkata began painting in the Australian summer of 1971–72. His paintings are intensely concentrated; their energies are contained and inwardly focused. Women’s Dreaming (Two women) , 1972, is a magnificent example of his earliest work. It is spare and powerful, but with subtle details such as the interlocking of the dotted white lines that ensure the eye cannot rest completely on the imposing red ochre ‘U’ shapes representing the two women. Despite its pared back simplicity, this work resonates with the power of song – it is a moment of ephemeral ceremony enduring miraculously on hardboard. From the mid-1970s, Lungkata’s works became increasingly elaborate. His paintings often featured multiple sets of looping crescents building from a steady centre. In some instances he employed subtle modulations of tone and colour to support the pulsing rhythm of a work. During this phase, he was the only Papunya Tula artist to begin his roundels with ovals rather than circles, giving his painting an attenuated, slightly convex feel. 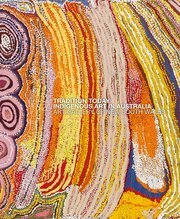 By the end of the decade, he was creating monumental, authoritative works that were comprehensive representations of the several Tjukurrpa that cross his traditional country. His greatest works were created when the market demand for Western Desert art had not yet been realised and, consequently, Lungkata’s significance as an artist should not be underestimated by the relative scarcity of his work.